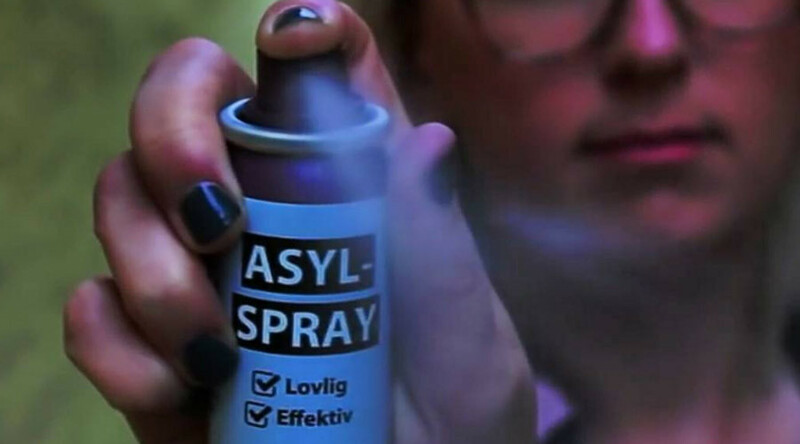 The anti-immigrant Party of the Danes has been spotted handing out cans of ‘asylum spray’ on the streets. The “legal and effective” way of opposing the “problem” of migrants was launched in Haderslev – the location of recent harassment reports. Haderslev, a port city, was one of the places in Denmark where women complained about migrants harassing them at nightclubs, so it seemed like the perfect testing ground to Daniel Carlsen, the founder of the Danskernes Parti. — Valby Garden (@ValbyGarden) 25 сентября 2016 г. To keep things within the rule of law, hair spray was used for the campaign, as pepper spray use is forbidden in Denmark. Last week’s antics in Haderslev quickly stirred controversy. Some found it hard not to be visibly upset by the display, as was the case with Charlotte Bech, from Silkeborg. “[Migrants and refugees] have been through so much and then they're told that they are so undesirable that we had to make a spray to use on them. One thing is the opinion that we don’t have the capacity [for refugees] or an opinion that some of them might not fit in to our culture. But to make a joke out of it is not okay,” she told TV Syd, as quoted by Local. But there were those who cheered the “legal and effective” spray. “It’s great. It matches bloody well with my attitudes and opinions. It is after all them [refugees] who we are protecting ourselves against at the moment,” another woman, Diana Nielsen, said. Danskernes Parti founder Carlsen said that 137 people accepted the spray can from his group. — Daniel Carlsen (@DanielCarlsen) 25 сентября 2016 г. His group has previously engaged in anti-immigrant attacks through popular media – be it a poster with white children playing, with the words “Your children deserve a Danish Denmark,” or its criticism of the French national team for the presence of players of African descent. In April, Carlsen defended the vandalism of a Danish municipality with road signs showing the distance to Syria and Iraq. Like other European countries, Denmark has seen a mixed response to the refugee influx. In mid-August, police arrested a Dane for trying to blow himself up at an asylum center. Denmark registered 21,000 asylum applications in 2015, which made it one of the main EU destinations for refugees per capita, behind only Finland, Austria, Germany and Sweden.